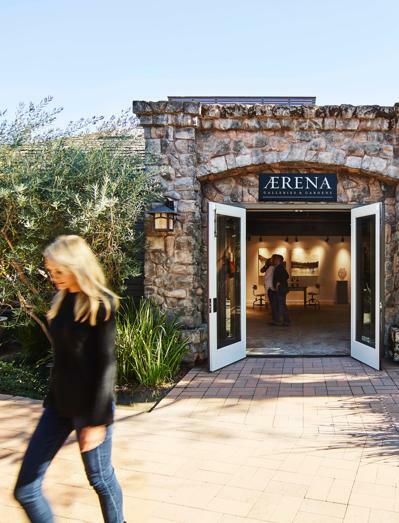 THE VINEYARD ÆRENA's single-vineyard Cabernet Sauvignon is farmed from vines at 2400 ft. elevation in the Red Hills of California's North Coast. These mountain vineyards are the result of the same volcanic and tectonic processes that formed the terroir of many of the North Coast's classic regions. As one would expect of mountain viticulture, elevation moderates temperature extremes and diurnal shifts, allowing for a long growing season that results in complex flavor development. The intensity of flavors is magnified by vine stress from well-drained, iron-rich vineyards littered with black obsidian, quartz crystal, and volcanic gravel.